Since Atlanta has so many condo buildings, we're counting anything under 6 stories as a mid-rise, and anything above that a high-rise. 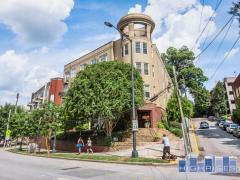 An Atlanta mid-rise offers many of the same advantages of a high-rise condo building. However they usually have fewer amenities, which means the HOA dues are less. If you're interested in a mid-rise you can start your search with the listings below, which will update daily.